into were appointed to work alongside interior designers Design LSM to realise their vision for the lighting design for this basement restaurant in Hong Kong. 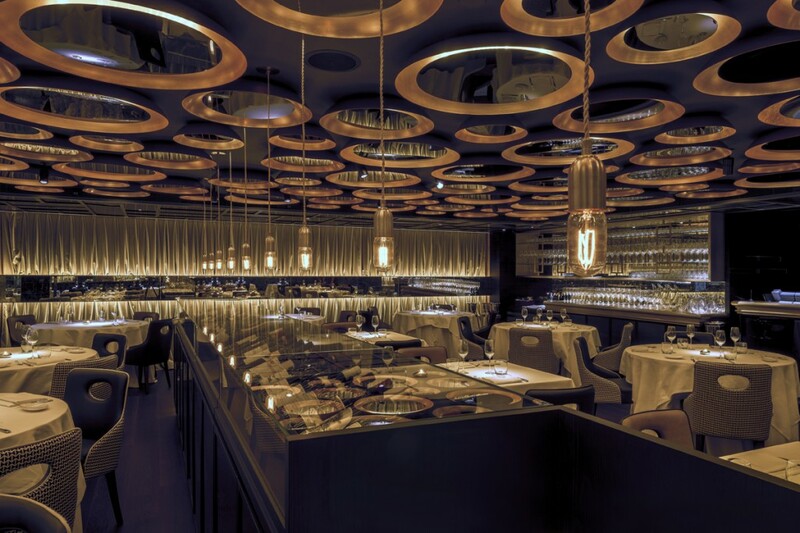 With no natural day lighting, the challenge was to create a good level of ambient lighting for lunchtime which would transform into an intimate theatrical lighting scheme in the evening. 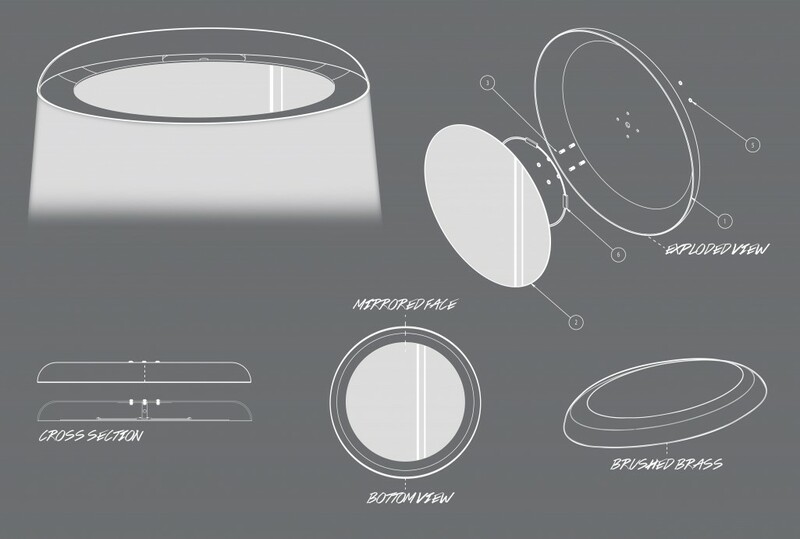 We developed a lighting scheme based around creating layers of light, with the focus being a feature ceiling made up of a series of surface mounted domes with a mirrored baffle to give the impression of a greater ceiling height. We specified warm white DMX dimmable led tape within the domes to create a halo effect of ambient lighting. 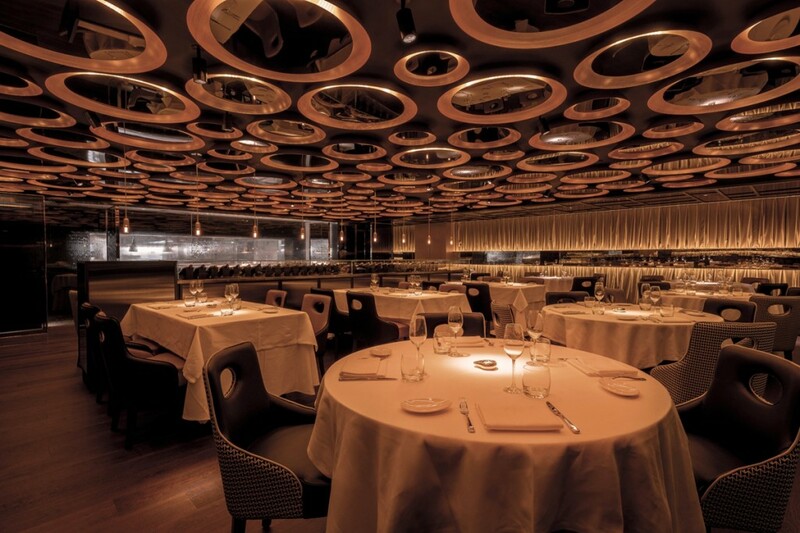 In between the domes, we have used low glare spotlights to theatrically light dining tables. 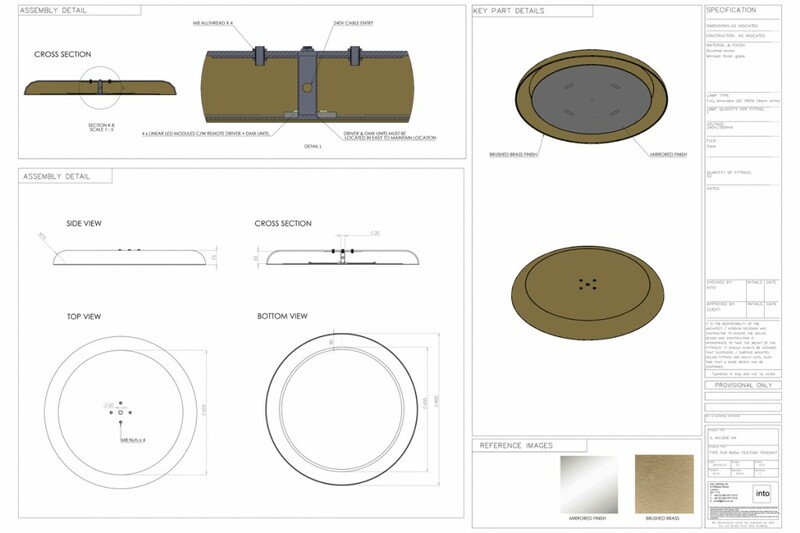 Into designed the bespoke light fixtures from concept sketches through to Solidworks 3d modelling and prototyping stages through to overseeing production in Asia. 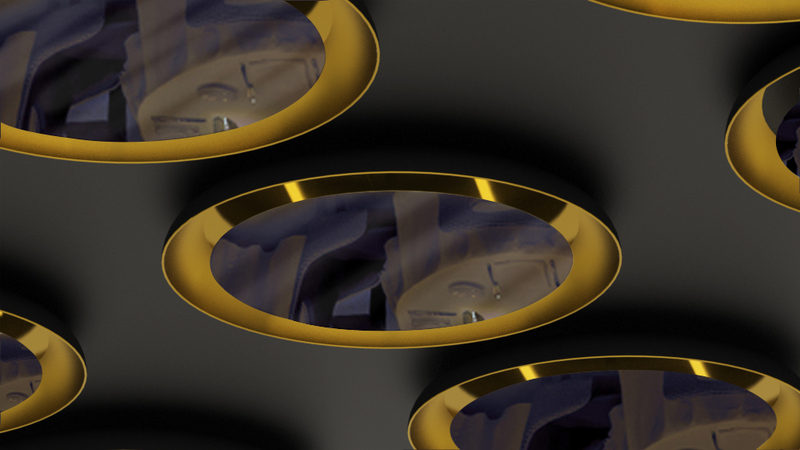 Into can offer bespoke light fixture design as part of a complete project. Depending on the scale of complexity of the bespoke light fixtures our work may be chargeable.